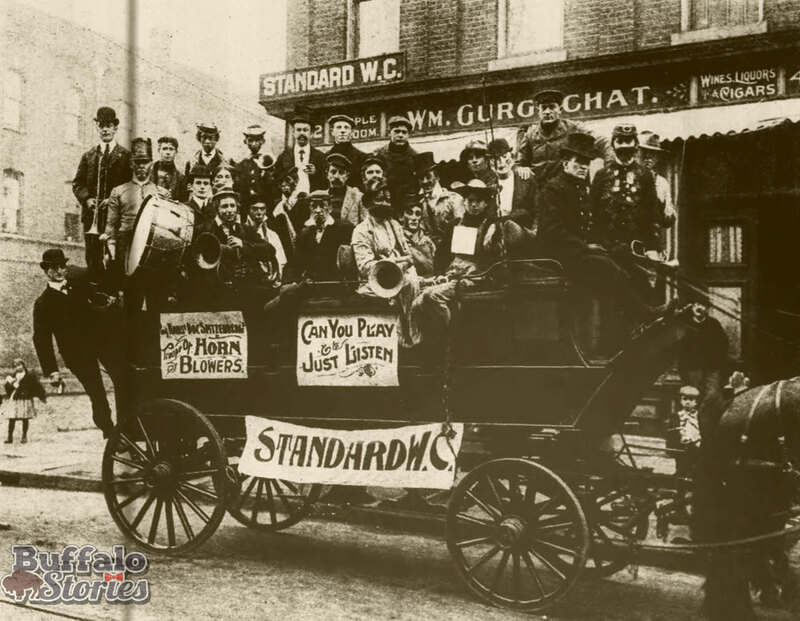 The Standard Wheel Club was one of dozens of small athletic clubs in Buffalo around the turn of the century, sponsoring bicycle races, boxing matches and a baseball team. Members also regularly held sing-alongs and drank plenty of beer in the sample room of member William Gurgschat at 422 Genesee St.
As a professional musician, Gurgschat encouraged the musical part of the group’s existence, especially for the 10 years he owned the gin mill and clubhouse from 1893-1903. Now a vacant lot, through the ’40s and ’50s, the spot was owned by Joseph Patano and known as the Spring Inn.